Pfc. 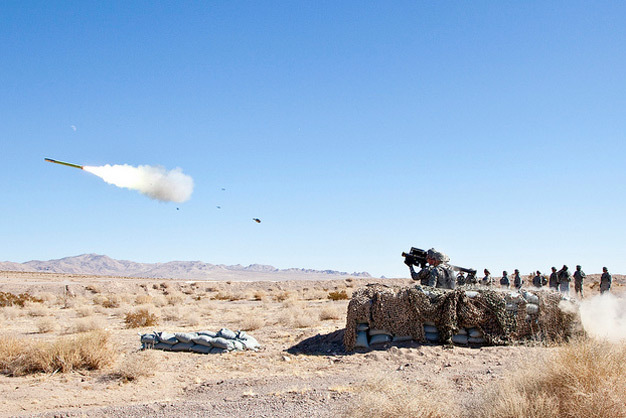 Cory Miller, I Battery, 1st Squadron, 11th Armored Cavalry Regiment, fires the FIM-92 Stinger missile at a MQM-170 Outlaw drone plane (target practice). The FIM-92 Stinger is a personal portable infrared homing surface-to-air missile. US Army photo by Casey Slusser.